Five ways to address concerns an employer might have about your work experience. The vast majority of people who take time off to raise children (or do other caregiving work) would ultimately like to return to the workplace. But transitioning back isn’t so easy. How can you re-enter professional life on your own terms? Here’s how to address any concerns an employer might have about your work experience and your commitment. Depending on how long you were out of the workforce, potential employers might worry that you’re out of touch. Go out of your way to prove them wrong. Make sure you have a robust LinkedIn profile, and consider using other public social media platforms, such as Twitter, to share posts regularly about your industry to show that you’ve kept pace with industry trends. Volunteer experience is great, but it may not be helpful for knowing the right people. 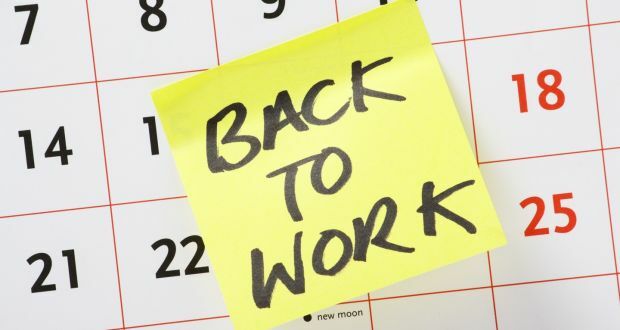 Stress that you’re eager to return to the workforce so you can make a contribution and that you’re now in a position to re-enter because your caregiving responsibilities have lightened. That information suggests that you’ll be a motivated employee and won’t be any more distracted by personal obligations than anyone else is. Parenting has almost certainly taught you important lessons about multitasking, negotiation, persuasion and stress management – and that may, in fact, make you a more productive and well-rounded employee. Own those skills, and position them as assets, rather than weaknesses – because they are. Be patient. Even if you’ve been following the steps above, success doesn’t come instantly.